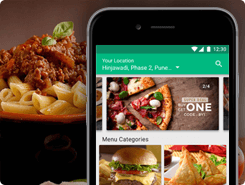 We help you build a branded mobile app platform to connect service seekers with service providers with our tailored and customizable local services marketplace app development solution. 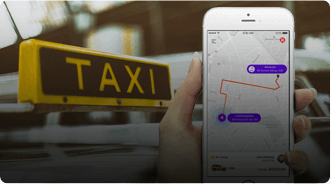 We provide a robust on-demand local service app development solution for service aggregators and businesses. Offer your services to your customers at their fingertips and manage your staff, bookings and more from a powerful dashboard. Launch a mobile app like TaskRabbit for homeowners to conveniently book local services from trusted professionals on-demand. Launch an app for high demand service verticals like handyman, car wash, beauty services, laundry, cleaning, repair and more. Native and white-label apps for your customers to seamlessly book multiple types of professional services on-demand. Customers get branded iOS & Android apps to request any service on tap. Quick to get started with the app with email and social login options. Seamless browsing experience for all the services available to the user. Users can search services directly and use filters for cost, ratings and more. View service details and quickly send a request for the desired task. Answer simple questions to get better results for service professionals. Offer your customers the choice to pick up a time slot for service delivery. Customers get notified when their request is accepted by an expert. Get paid securely from your customers via multiple payment options. 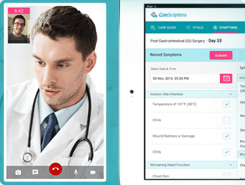 A mobile first and simplistic interface to provide an amazing user experience. Get useful feedback from your customers on the quality of service provided. 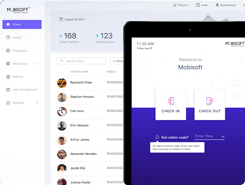 Users get options to manage their basic details, favorites and more. In-app FAQs, onboarding tutorials and customer support options for help. 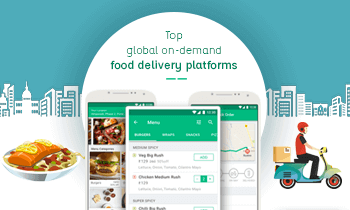 Service providers get a dedicated app to receive customer requirements, respond with suitable quotes, update task status, track payments and a lot more. Simple and sleek registration process of service providers for a professional profile. Easy to get started getting service requests once a profile is approved by the admin. Service partners get notified via email, SMS and push notifications for new inquires. Once a request is placed, service providers can review and accept the job if they like it. 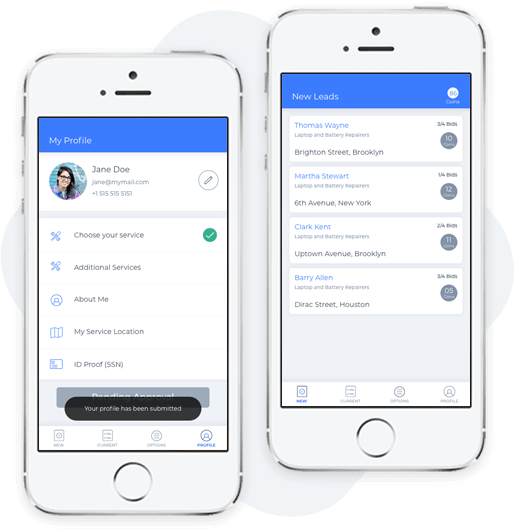 Service providers can set and manage their available timings and services from the app. 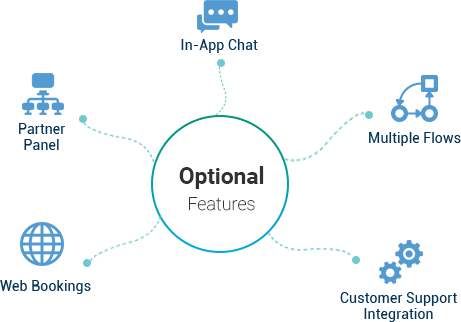 In-app chat option for service providers and seekers to connect for better communication. Partners can provide their PayPal or other payment details to get paid easily. Service providers can also include additional costs to generate the final charges. Professionals can view all their completed and upcoming requests in one place. Service providers get rated by customers for their service to ensure quality. Service providers can directly reply to customer reviews and build credibility. Offer your service partners an easy way to connect with your customer support. 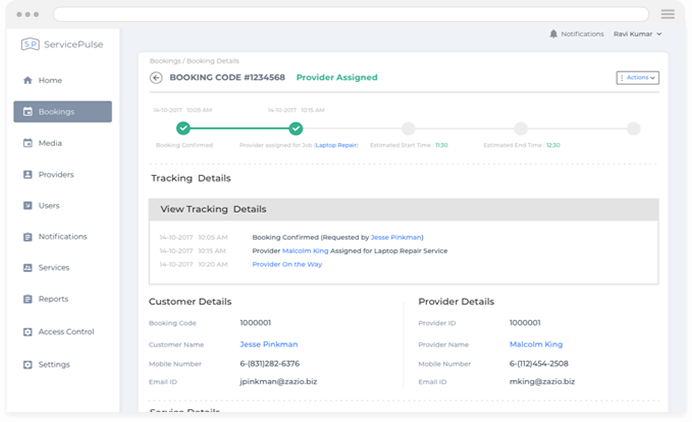 A powerful web-based admin panel to efficiently manage all aspects of your on-demand service business, from assigning new requests, tracking service status to reviewing customer feedback. The marketplace owner gets a feature rich admin dashboard to manage everything. Manually add new service providers or approve new registration requests. Review the document submissions and manage requirements from the panel. Manage all the offered services, their details, categories, pricing and more. View all the incoming service requests, assign service provider, status, etc. Set partner commission rates, view due amounts and settle payments with them. Create promo codes, discounts, and offers and track their usage and performance. Put sponsored listings for your partners and run third-party ads on your app. Easily update the settings for SMS, email and push alerts for both parties. View customer feedback on their service experience, flag poor performers and more. Get useful data points and metrics to make informed decisions for your service business. We offer a high degree of customization to build the solution as per your specific business needs from branding to additional payment gateway integration. 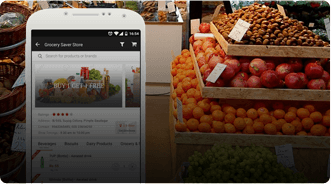 Make it easy for new customers to book via the mobile web when needed. Provide your service partners the option to manage their services via a web panel. Add a direct communication channel between service seekers and providers. Add category specific booking flows to make the most of your service offerings. 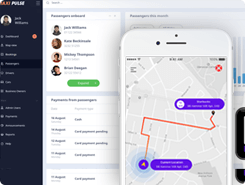 Integrate with a popular third party support ticketing system to handle queries. Interested In Launching Your On-Demand Home Service App? 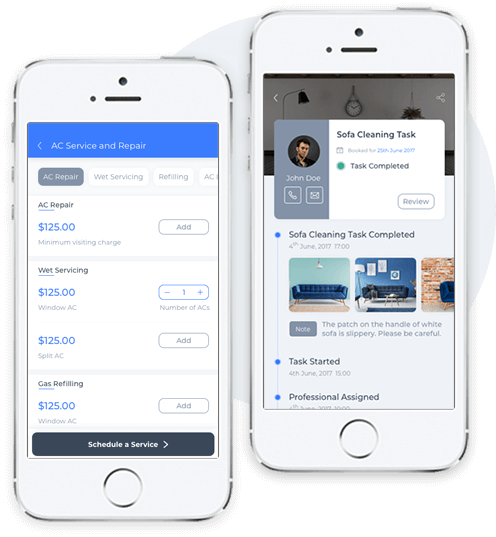 Apps like TaskRabbit and UrbanClap have made finding trusted professionals to perform household tasks in today’s busy world simple and convenient by leveraging the ubiquity of mobile and the internet. You can do the same for your local services business or startup by using our tailored home services app development solution. 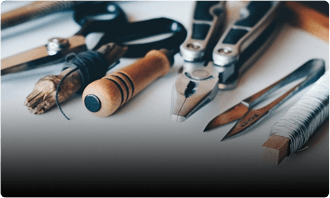 Build a local services marketplace or launch a custom app to expand your home services business. We develop home services app tailored to your unique requirements with custom features and integrations. We already have a base home services app solution that can save you significant development time and money. We have experience building on-demand apps for many verticals and help be a reliable technology partner. We build anything from home service marketplaces to a service business app with different booking flows. The entire solution is designed to seamlessly support your growing customer base reliably and effortlessly. The solution comes with out of the box support for popular payment gateways with options to add new ones. Improve your home services marketplace with useful third party APIs and software for new functionality. Every stakeholder gets to use a thoughtfully designed interface tailored to their unique needs and goals. We have created a dedicated engagement model with all our clients to ensure maximum ROI and business success. 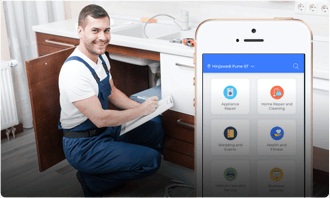 The entire home services app development solution is built on a robust technology stack and customizable to meet your unique business model. Mobisoft Infotech is a team of experienced professionals. They know the technology and what the client’s needs are. They delivered to us what we really needed in terms of a solution. The people we’re dealing with are the best part of this company. The team has made it possible to get our app up & running and functional with ease. They are able to take us through the process well and deliver the product to us accordingly. UrbanClap clone app development solution to build your own service marketplace platform. It is great that you are thinking about leveraging mobile technology to serve your customers better. 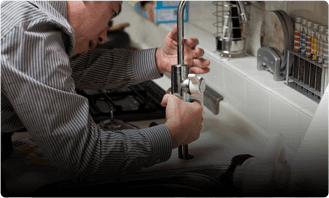 We can create a custom and fully branded plumbing services app for your business that will allow your potential and existing customers to book a plumbing job from their mobile phones in a few simple taps. You will get a powerful admin panel to manage all aspects of your business like request management, staff management, payments management and more. Please send us aquick inquiry and our on-demand solution experts will connect with you shortly. 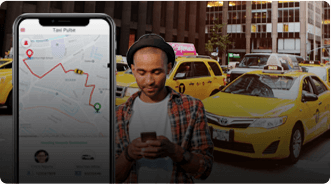 Apps like TaskRabbit and UrbanClap are very popular and we have designed our base solution to specifically build such apps for startups and entrepreneurs looking to create their own service marketplace business on mobile. We are open to adding new features, integrations, and enhancements as per your platform strategy and business requirements. We would love to hear more about your service marketplace concept and be a reliable technology and development partner. As we already have a base solution ready with native iOS & Android apps for service seekers, apps for service providers and a web panel for platform owners, the time for development will be significantly lower compared to starting from scratch. However, based on your requirements for custom features, branding needs, third party integrations and more, the time may increase. To get a better idea about the estimated go-to-market time, please share your requirements through the contact form and our on-demand experts will get back to you shortly. Yes, we do. The solution offers a robust choice of payment gateways to start accepting payments anywhere seamlessly. Yes. Let us know the language of choice and we will make that customization for you. 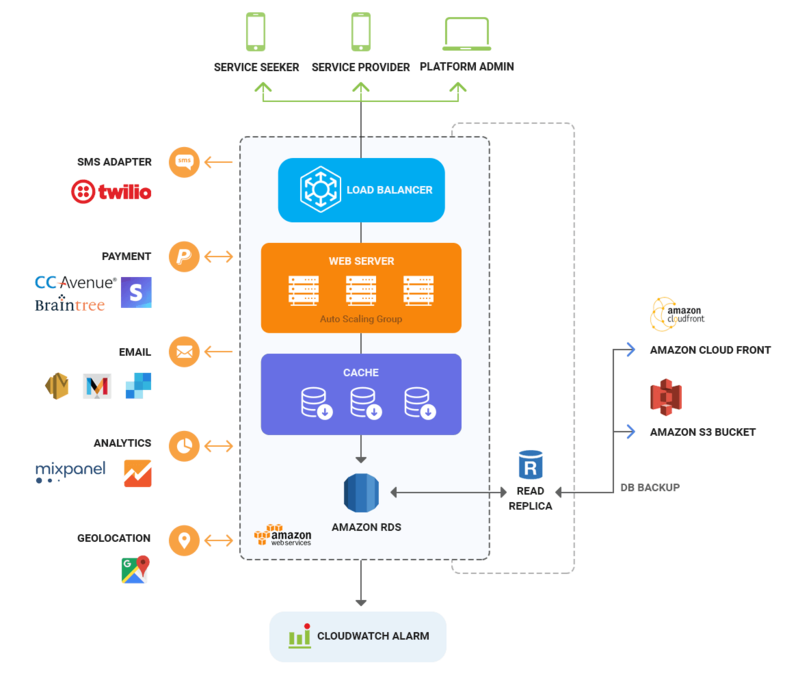 We can deploy the solution either on a private cloud instance or your existing on-premise infrastructure. We support both single-service and multi-service aggregator models.